Gates made the traditional way. 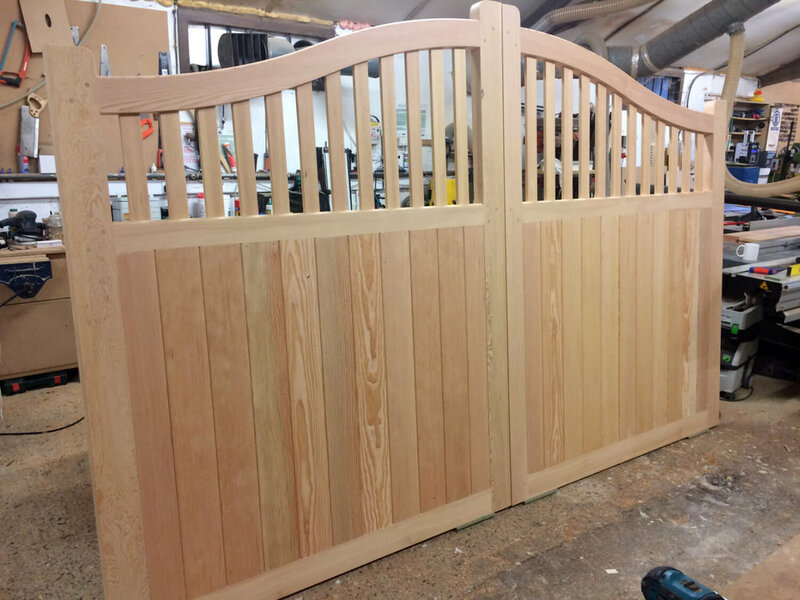 After making gates for several years, Allan decided to design and create his own standard range of gates. Reverse Abbey in made in Iroko wood. Proud of his location within Suffolk Allan has named these gates after local villages and places within the area. Allan can also create bespoke and custom gates to customers exact requirements. The types of timber I work with. Contact Allan to benefit from his unique personal service and reap the rewards of working with a craftsman who can deliver your very own bespoke tailor-made solution.